Learning as much as you can about your soil will help you decide what needs to be done to make it ideal for the plants you want to grow. If you can learn about your soil’s texture, composition, drainage, acidity, and mineral density, you will avoid, up front, the disappointing results that can occur when your soil is unsuitable for your dream garden. One of the most basic characteristics of soil is its composition. In general, soils are classified as clay soils, sandy soils, or loamy soils. Clay is nutrient-rich, but slow draining. Sand is quick draining but has trouble retaining nutrients and moisture. 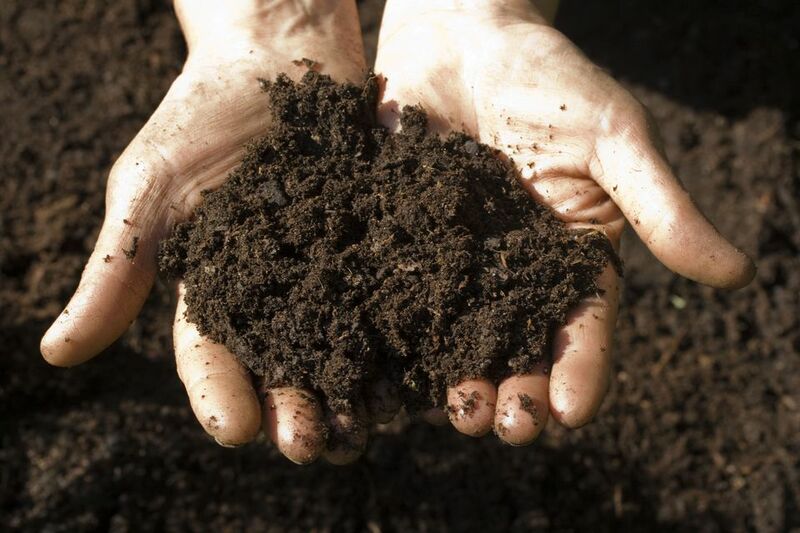 Loam is generally considered to be ideal soil because it retains moisture and nutrients but doesn’t stay soggy. It will hold its shape, and when you give it a light poke, it crumbles. Lucky you—this means you have luxurious loam! It will hold its shape, and, when poked, sits stubbornly in your hand. This means you have clay soil. It will fall apart as soon as you open your hand. This means you have sandy soil. Now that you know what type of soil you have, you can work on improving it. Dig a hole about six inches wide and one foot deep. Fill the hole with water and let it drain completely. Fill it with water again. Keep track of how long it takes for the water to drain. If the water takes more than four hours to drain, you have poor drainage. Be sure the soil has warmed to at least 55 degrees, and that it is at least somewhat moist, but not soaking wet. Dig a hole one foot across and one foot deep. Place the soil on a tarp or piece of cardboard. Sift through the soil with your hands as you place it back into the hole, counting the earthworms as you go. If you find at least ten worms, your soil is in pretty good shape. Less than that indicates that there may not be enough organic matter in your soil to support a healthy worm population, or that your soil is too acidic or alkaline. The Ph (acidity level) of your soil has a lot to do with how well your plants grow. Ph is tested on a scale of zero to 14, with zero being very acidic and 14 being very alkaline. Most plants grow best in soil with a fairly neutral Ph, between six and seven. When the Ph level is lower than five or higher than eight, plants just won’t grow as well as they should. Every home and garden center carries Ph test kits. These kits are fairly accurate, but you must make sure you follow the testing instructions precisely. Once you know whether your soil Ph is a problem or not, you can begin working to correct the problem. If you find that you’ve done all of these tests, and amended the soil as needed to correct the issues, and your plants are still struggling along, the next step is to contact your local cooperative extension service. They will tell you how to go about collecting a soil sample and sending it into their lab for analysis. They will return a report that will alert you to any mineral deficiencies in your soil, as well as steps to correct the issues. These tests are simple, inexpensive ways to ensure that your garden has the best foundation possible. What to Consider When Starting a New Garden? You Fertilize Your Flower Garden With What?